The pecky cypress cottage, originally slated for demolition, instead will become a river camp. 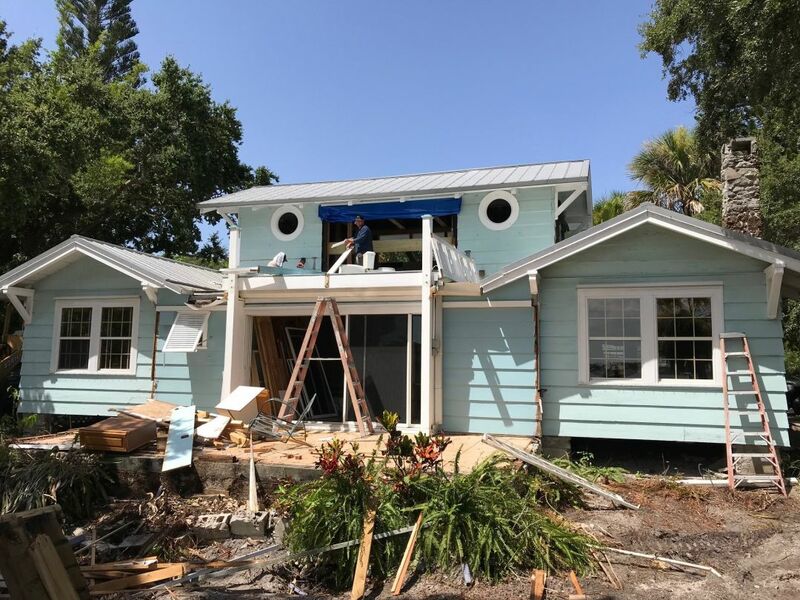 Score one for historic preservation this week, as a 1936 pecky cypress cottage that stood on the Siesta Key bayfront for 82 years is being moved to the Triangle Ranch on the banks of the Myakka River in east Manatee County to save it from demolition. Steve Ellis of MGB Fine Custom Homes is helping Elizabeth Moore move the two-story cottage from its original acre-plus bayfront site on south Siesta Key to the Triangle Ranch, the 1,143-acre property that Moore purchased two years ago on behalf of the Conservation Foundation of the Gulf Coast to save it from future development. Moore’s goal is to turn the cottage into “a wonderful river camp and a place to gather,” says Ellis. 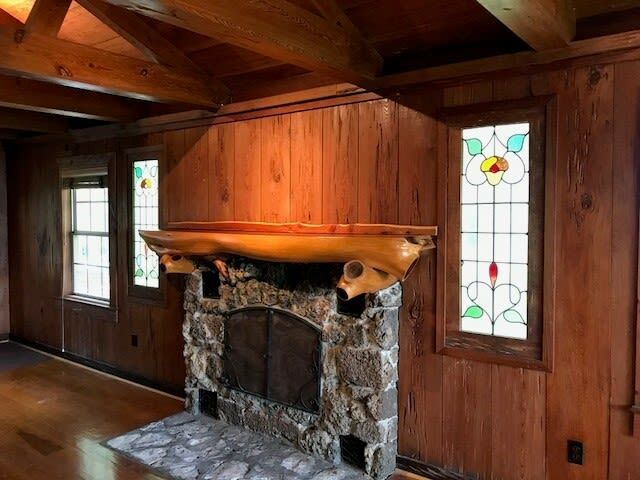 Ellis says he discovered the two-bedroom, two-bath cottage, originally a fishing lodge, when he was looking for a bayfront parcel for a client looking to build new homes. “This particular move is not for the faint of heart and it’s a labor of love,” he says. Parrish-based Johnson Housemoving spent last week and this dismantling the cottage into three sections for the move across the Stickney Point Bridge and out to Myakka. “To move the home, you need a D.O.T. permit and police escorts, [plus] letters from all municipalities that the home will travel through. In this case it’s three: Sarasota County, the City of Sarasota and Manatee County.” The move must take place in the middle of the night, “as you can’t travel on state roads after 6 a.m.,” Ellis says. 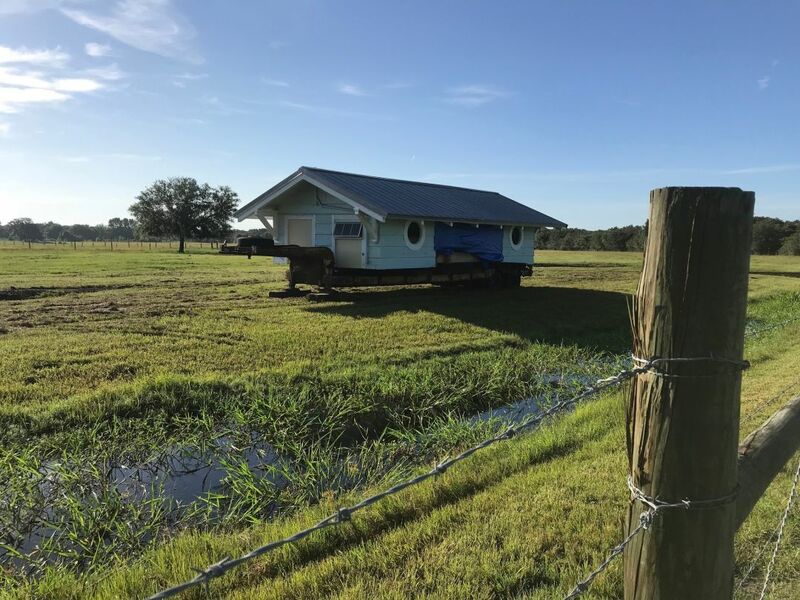 The cottage will be temporarily placed on the ranch until the Myakka River recedes this fall. Then it will be moved across and through the river about a mile to the original homestead site of the Carlton family, the original landowners. The cottage will be reassembled on new foundation piers, stripped of its blue paint back, and undergo renovations. “There are a lot of moving parts to this—pun unintended,” Ellis says. The cottage as it originally looked. The top part of the cottage arrives at Triangle Ranch.